"I do scan the audience and I do have a regular crowd that I see, and that’s absolutely beautiful and amazing"
“I just can’t believe it,” he laughs, still clearly a little incredulous at the size. “I mean, obviously we’ve been planning it, but it’s still a bit like, ‘Is this really happening? !’ I’m so proud and honoured to do it. It’s such an iconic name isn’t it, Wembley? For them to open their minds to doing an all night show, and giving me the honour of being the first ever one, you know... I’m pinching myself, it’s surreal.” How will he approach playing such a massive show? The same way he approaches every show, it transpires. “I think you read it as the night goes on, don’t you?” So it won’t be a case of meticulously planning out every last minute of the epic set? “No, no. That’s a false economy,” he reckons, “Obviously I practise and I learn all my tunes. But if you feel it’s going a certain way, I tend to think, ‘OK, we’ll go that way, we’ll go that era’. “Having been around a while,” he says, “doing shows at the Wax club and then going to The End, then Fabric and then the bigger gigs and the festivals, I look out into the audience and I see people from those eras and I think, ‘Right man, I’m going to spend 20 minutes or half an hour playing that vibe for you fellas’. “I do scan the audience and I do have a regular crowd that I see, and that’s absolutely beautiful and amazing, because there’s faces I see in that crowd from Wax club days, we’re talking ’93 and ’94, and then there’s crew from The End... So that gives me something to work on. I think, ‘OK, if I play some of those tunes then you and your crew are going to be vibing, and then that will hopefully ripple through the crowd around you, and then it becomes sort of like a ripple effect. And that’s how I treat the longer sets. I always like to build bridges between sections of tunes in a set instead of it just being a cut and paste mishmash of bits and bobs." 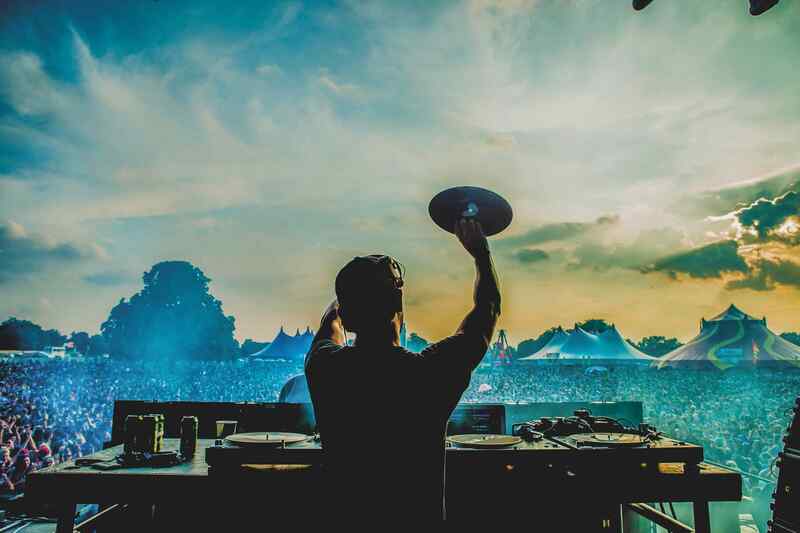 Want more long-reads from DJ Mag? Check out some of our previous cover features on Anja Schneider and Monika Kruse.